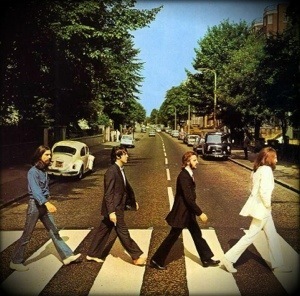 Incredible to put into perspective that just 43 years ago The Beatles released an album that would carry a significant and profound emotional connection to people that had not even been born yet. That they would immediately, and for as long as man is in control of the tourist industry, create a landmark for people of every creed and generation to visit, pray, and pay homage to possibly the most giving band we shall ever know. The tracks of this album, conjured or created under a cloud of tension among the band, continue to play on radio stations, personal music players, and stereos around the world. Heck, I bet somebody out there is still blasting Come Together on their 8-track player. You know the 8 track …. Oh dear, I think I’ve seriously dated myself now. As if ranting about The Beatles (again) didn’t give it away.